Curling you hair is an excellent way to change your look without the worries of anything too permanent. Bouncing curls that are full of volume used to require inserting rollers into wet hair, and then letting them dry under a hooded dryer. Another time consuming alternative is to use an electric curling iron, which usually curls less than one inch of hair at a time. The Conair Instant Heat Hairsetter is a quick way to get those curly results fast. Plug your Conair Instant Heat Hairsetter into the outlet. Let your roller set heat up for approximately 2 minutes; hold your hand about ½ inch from the appliance to make sure that the rollers are warm enough. 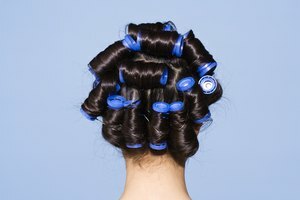 The rollers must be warm in order to hold and form your curls. Pull out one curler at a time from the Hairsetter by grabbing the top plastic part of the curler. Hold the curler between your two hands, but do not touch the middle, as it is hot. 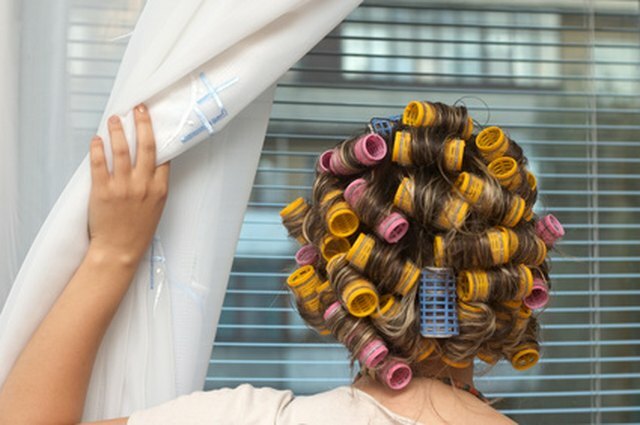 Hold a piece of your hair, 2 inches or less is a good amount--the larger the rollers, the more hair you can curl. Hold the curler between your thumb and forefinger. Carefully roll the curler onto your hair starting from the tip of your tresses. Roll the curler tightly, working your way up to your scalp. Once you have gotten to the top of your head, clip the roller using one of the clips that comes with your Conair Hairsetter. Repeat Steps 2 and 3 for the rest of your head. It is best to start from the middle part of your head, starting from the forehead and working your way to the back of your head. After you have filled the middle part of your head with these hot curlers, continue on to the sides. 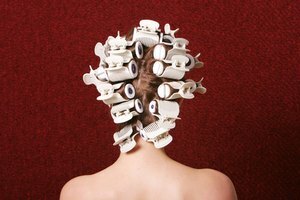 Leave your Conair Hairsetter curlers in your hair for 10 to 15 minutes before removing them. 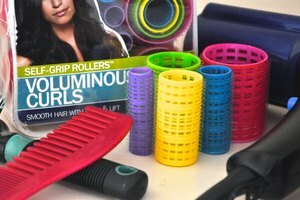 Slowly unravel each curler from your hair and put them back into your Hairsetter. Unplug your Conair Hairsetter and let the device cool off before putting it away. Finger comb your curls to give them a well formed look, and then gently mist them with hair spray; do this while looking in the mirror to see what you're doing.